The fatal crash in Arizona involving an Uber autonomous vehicle in March slowed progress, largely because it hurt the public’s perception of the safety of vehicles. Companies slowed research to be more careful. 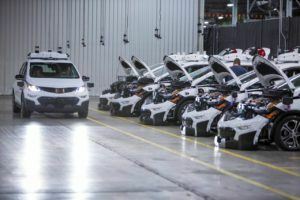 Google’s Waymo, for instance, decided not to launch a fully autonomous ride-hailing service in the Phoenix area and will rely on human backup drivers to ferry passengers, at least for now.